We believe these represent the finest collection of 55+ retirement communities reviews anywhere. If you want to know the latest designs, view quality materials, and find out about luxury amenities, you can read about it here. After reading these reviews, you may also be interested in our page on the best floorplans for your retirement. Some of the 55+ communities on this page are now sold out but you can check for resales. Check back for more reviews. Del Webb Rancho Mirage - In the Palm Springs, California area. 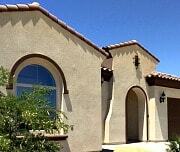 A single-home 55+ community that takes advantage of the beauty of the desert. Single homes that are priced at a great value. New 2018 Rancho Mirage review. 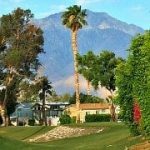 Caliente Springs Resort - Desert Hot Springs, Calfornia in the Palm Springs area - RV Park models for purchase or rent. There is also an RV Park. Enjoy the mineral hot springs pools, golf, recreation and popular social activities. Great for snowbirds. 2018 review of Caliente Springs Resort. Altis - Beaumont, Ca. - 30 minutes to Palm Springs - Gated community by Pardee Homes - Single homes with modern designs and the latest features. Many creative amenities. Mountain views. See the Altis review. Rancho Mission Viejo - Large sprawling master community of age-restricted and all-age communities in Southern California. All types of homes. Many outstanding amenities. Currently on Phase 2 called Esencia. Our Review of RMV. 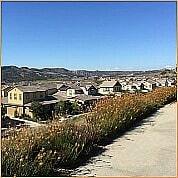 Ovation at Flora Park - New gated 55+ community in Southern California in Disneyland area and not far to ocean. Read the Review. We toured this community when it first opened years ago and got some nice photos of the homes at that time and the amenities. We have since updated the page. It is a large community that now has other quality builders as well. 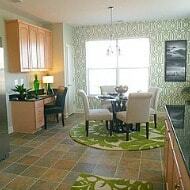 We must admit that Brookfield Homes is one of our favorites but you decide. This was a review article written by Highland Green's (55+ community in Portland) manager and has lots of information about Portland, Me. as well as about this unique community. This is a classic 55+ age-restricted community with considerable amenities. It is probably the most popular one in the DC Metro area of Maryland. It is very socially active but you do not have to feel you have to participate. 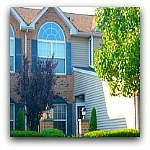 It is very large with homes of a variety of types: condos, townhouse, singles, co-ops, estate and more. Our review has lots of photos of the grounds and buildings. Courts of Clarksburg - Gaithersburg in Maryland suburbs around DC - part of master community - upscale single homes. There are also 55+ apartments in the community. See the Review of Courts of Clarksburg. 55+ community in an area close to DC. Frederick is a city that will take you back to a time when the pace was slower and the air fresher. It is near Hagerstown. You have some nice choices in this area. We reviewed 2 communities there. 2 communities, Red Mill and WestRidge, with village ambience and traditionally-styled by a popular Boston area builder. 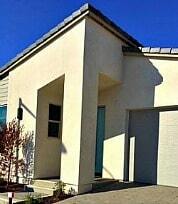 We were impressed with Siena by award-winning builder J S Hovnanian (yes brother of homebuilder K Hovnanian). A good commute location to Philadelphia. There are also rental condos (verify). Westbrook Village - market rate condos and low-income condos on Long Island, NY. By WCI. 55+ in a central location on Long Island, NY. Huge upscale shopping mall is across street and walkable for most. Whole Foods Market is also walkable. Gated and manned entrance. Condos with amenities. Rentals not allowed. One for your short list. Resales only. Another WCI condominium community on Long Island but further out East in a more rural area. Resales. Stoneleigh Woods - At Riverhead on East End of Long Island, NY. Popular community in great location. Resales. Another very popular condo community on East End of Long Island that sold out fast. Resales. Hidden Harbor has a dock and boat slips. Apartments that look like single homes with a custom feel. Luxury home community located in The Hamptons on the South Shore. This is your chance to be a few miles from the famous beaches of Fire Island at Smith Point. See our photos. This article was written for us by an excellent author with a great knowledge of Portland. Although this community was never built, the article has lots of excellent information about co-op living and Portland, Oregon. We visited this community while taking a weekend trip to the Lancaster Amish countryside. We got some beautiful interior photos of these exquisite homes. Resales. Another community with that wow factor. Geared to the active adult but not strictly for 55+. Lots of interior photos. Resales. 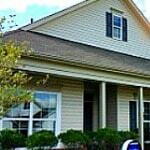 Very close to Grand Strand and ocean amenities. Manufactured and mobile homes. Small pool and clubhouse. Upscale master community with multiple builders very near to Grand Strand and beaches in nice location in Myrtle Beach. Also see Myrtle Beach 55+ communities. This condo community is near sell-out perhaps due to its popular construction and layout of a low-rise elevator building. Lots of interior photos. Lansdowne Woods - condominiums in a great location with outstanding amenities. (Previously called Leisure World of Virginia). 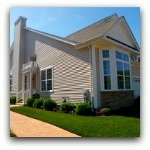 This is the first community by Shea Homes in Virginia. The air is very fresh and there is a great boat launch adjacent. Virginia is a large state with many community offerings for active adults. See Virginia retirement communities for 55+.